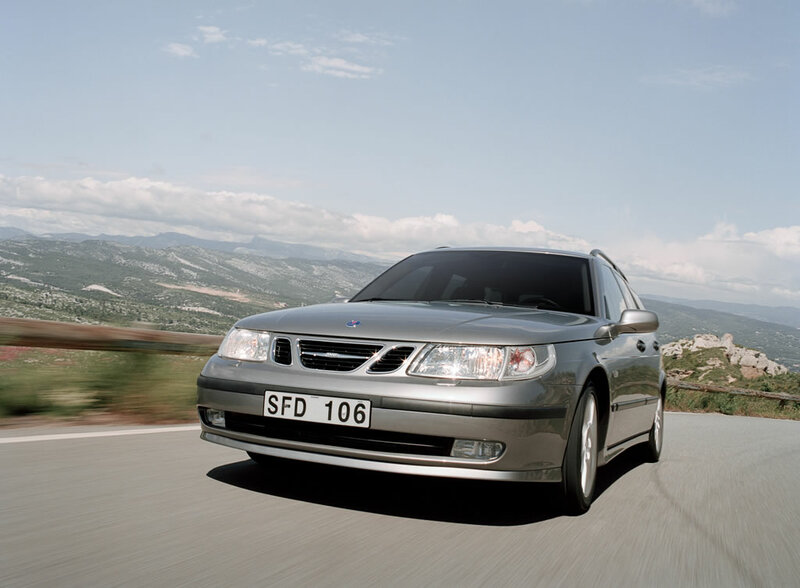 Saab unveiled the new 9-5 in 2002 with a significant series of enhancements and improvements that substantially strengthened Saab’s position in the premium-car segment. 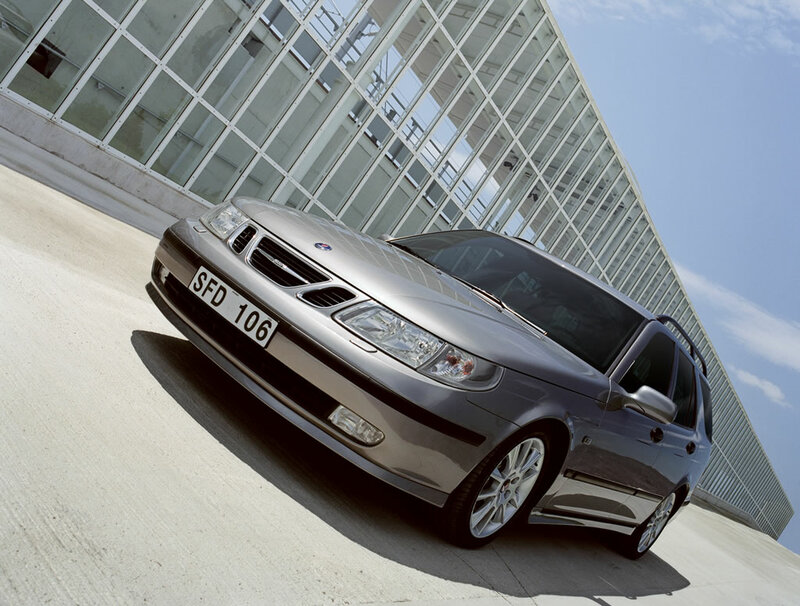 For 2003, Saab continues to offer the 9-5 sedan and SportWagon in three distinct model designations, or “Forms”: Linear, Arc and Aero. 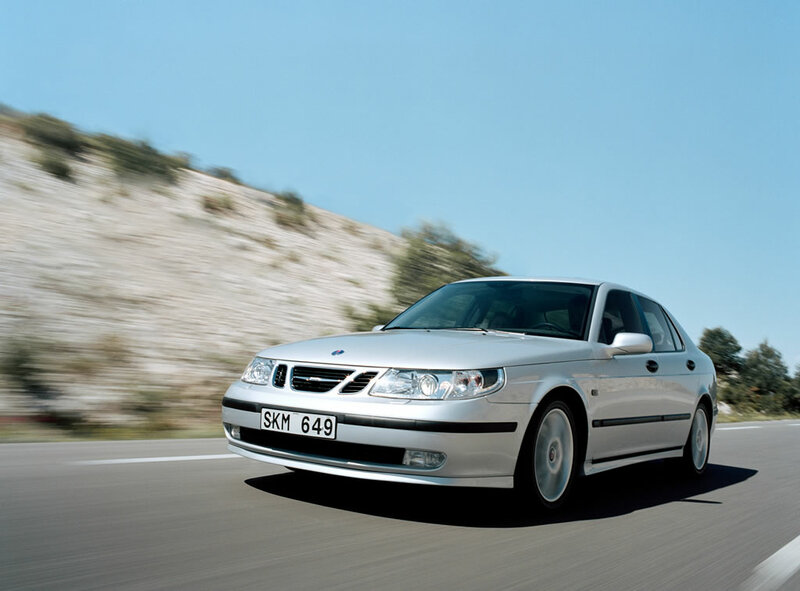 Saab Sentronic manual gear selection via steering wheel buttons is now standard equipment for all variants with the five-speed automatic transmission. 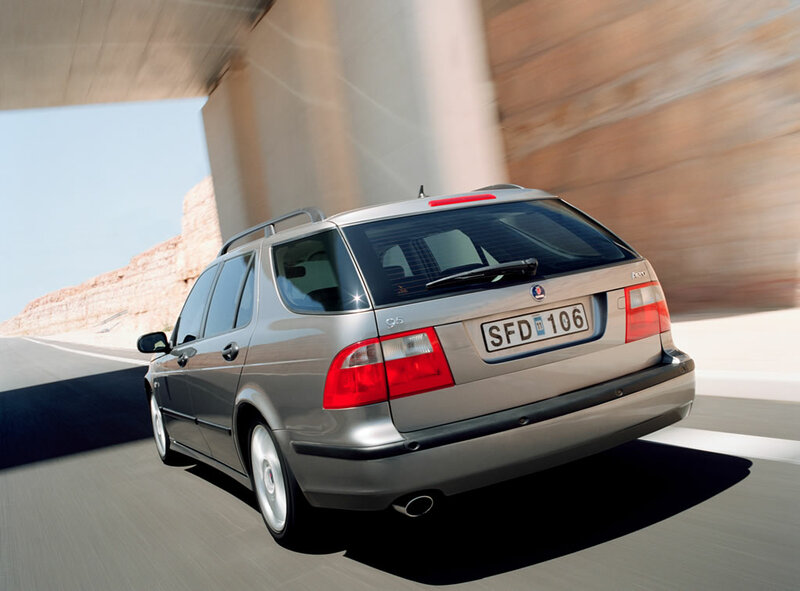 When the gear selector is placed in the “M,” manual position, the driver can execute swift up-shifts by pressing the right-hand button and down-shifts with the left-hand button. The Sentronic configuration allows close, fingertip control for a sporty driving style, in addition to a fully automatic function for effortless touring. 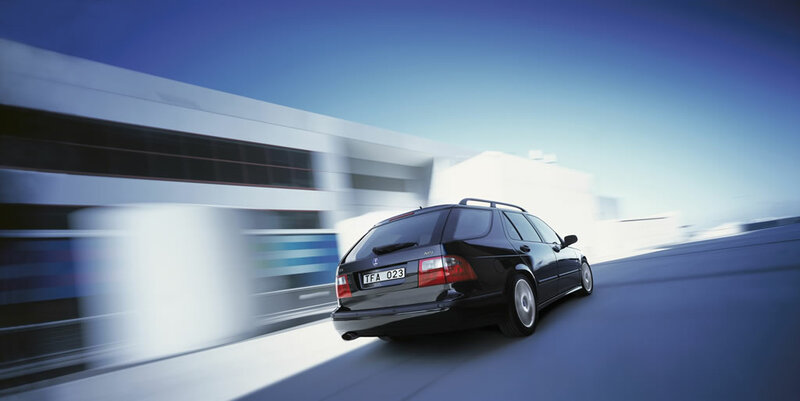 Now standard on all 9-5 models, Electronic Stability Program (ESP) is added to the equipment list on 9-5 Linear. 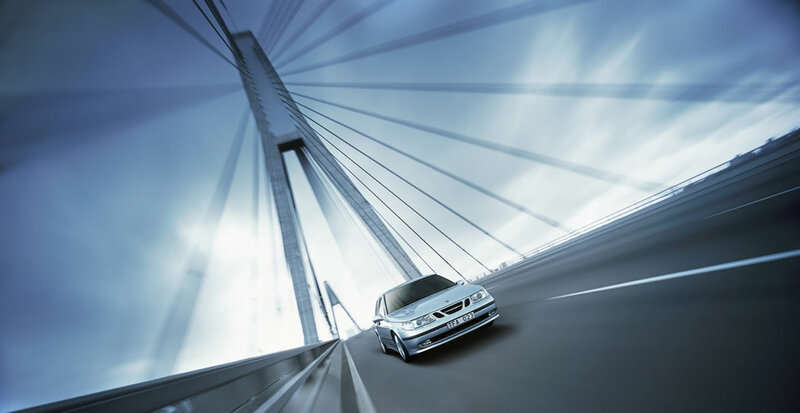 ESP is engineered to accentuate driving control close to the limits of adhesion. 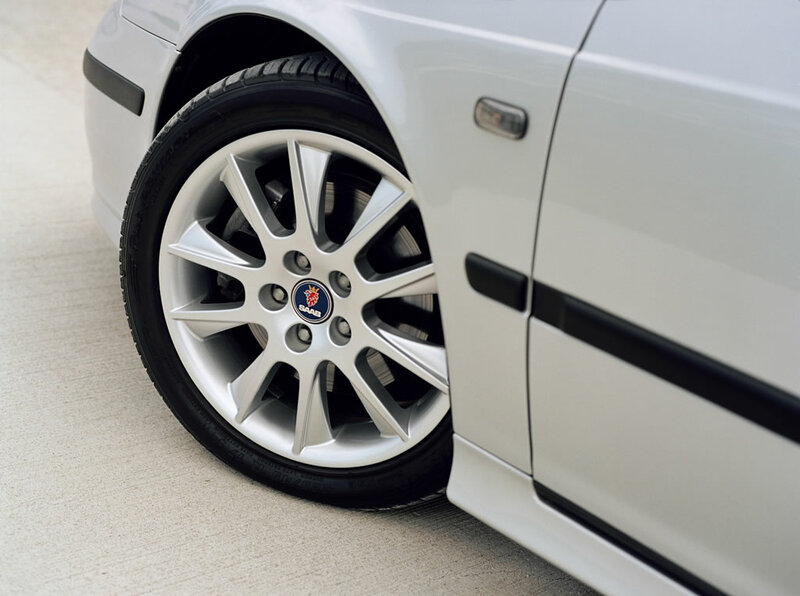 If the ESP system detects wheelslip or skidding, it is designed to brake one or more wheels and reduce the throttle as necessary to help bring the car back under control. 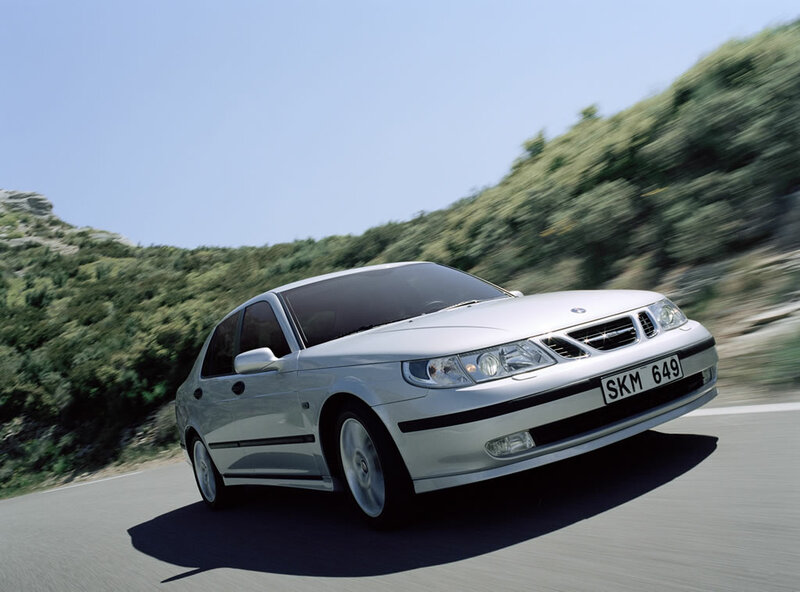 Saab became the first car manufacturer to offer ventilated front seats when it launched the 9-5 sedan. 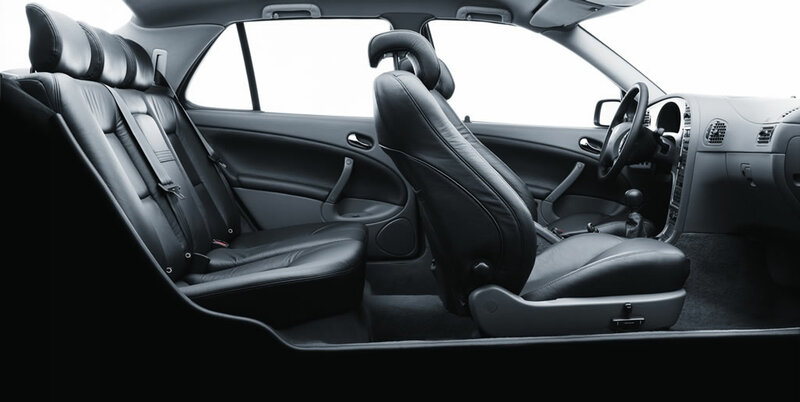 Now it is first to incorporate this comfort feature in sport seating by offering it as an option for the high-performance 9-5 Aero. Two small electric fans – one located in the bottom seat cushion and the other in the seatback draw cooling air in through perforations in the leather. The fans, with individual three speed settings, help keep the driver and passenger fresh and alert in hot and humid conditions. 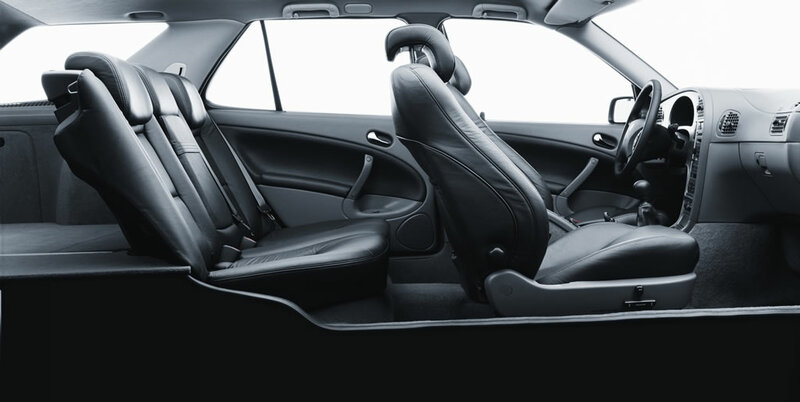 Ventilated seats are standard equipment in the 9-5 Arc, while the new sport ventilated seats are optional in the 9-5 Aero. An integrated remote control in the bottom of the interior rear-view mirror can be programmed to operate up to three garage doors at home for convenient parking. For additional security it can also be used to operate the alarm system or lights in the home. 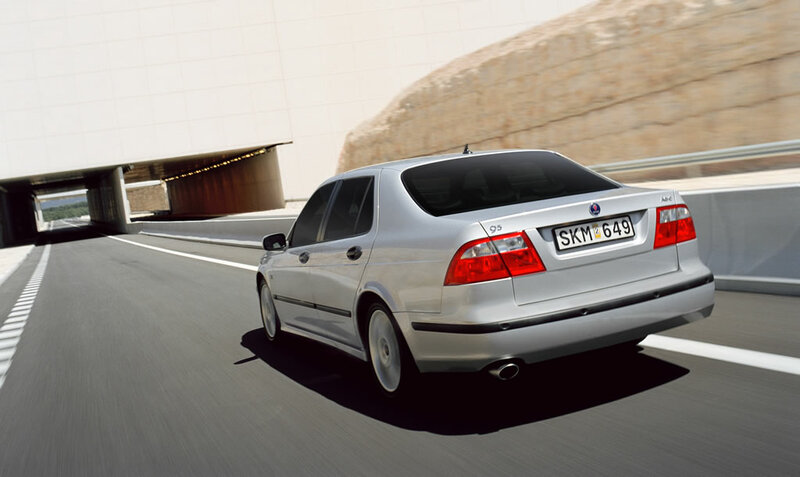 This feature, along with a compass heading readout in the mirror, is standard on the Arc and Aero, and optional on Linear models as part of the Premium Package. 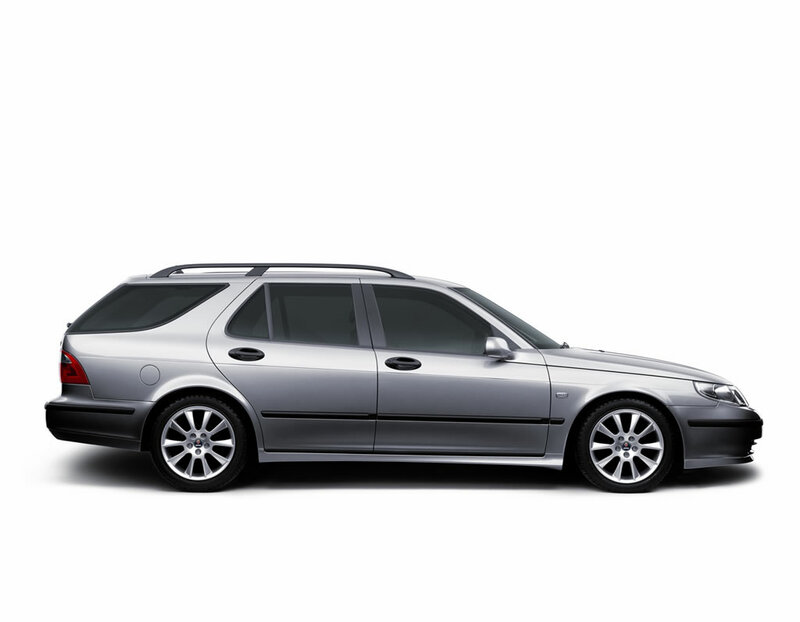 Saab’s Touring Package, which includes bi-xenon headlights, rear park assist and rain-sensing wipers, adds an auto-dimming feature to both outside mirrors. 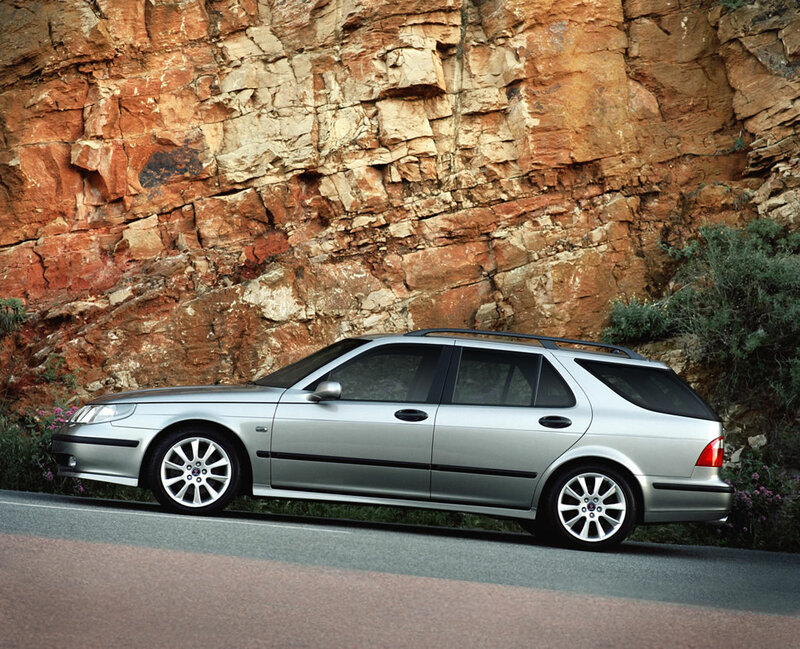 The Touring Package is now available on all 9-5 models. 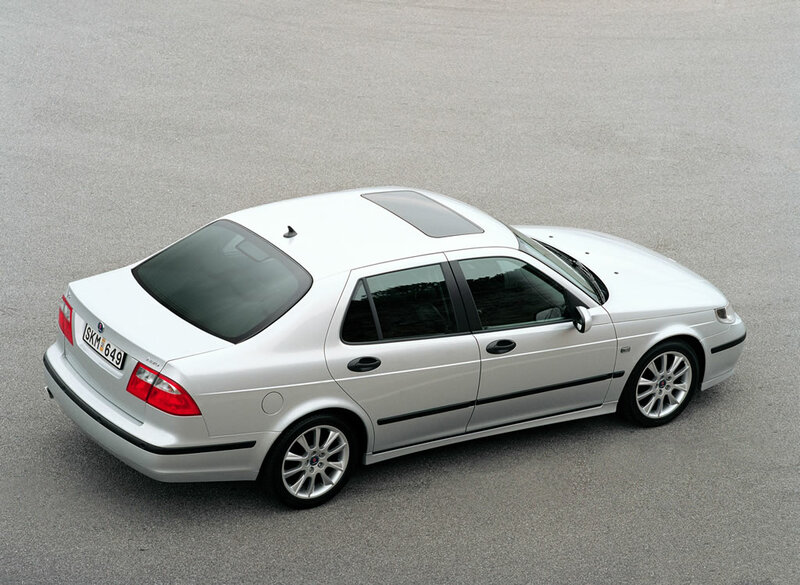 The Saab 9-5 Linear and Arc interiors now receive a new Blackwood trim for the instrument panel. Replacing last year’s light wood, the new dark burled veneer adds a modern interpretation to the traditional appearance of wood. The Aero continues to offer a brushed metallic-finish trim on the dash for a sportier, high-tech look. Two new metallic finishes broaden the range of external colors. Merlot Red, as the name suggests, has a rich tone reminiscent of the color of a full-bodied red wine. Graphite Green is a dark, sophisticated color associated with sporty performance. 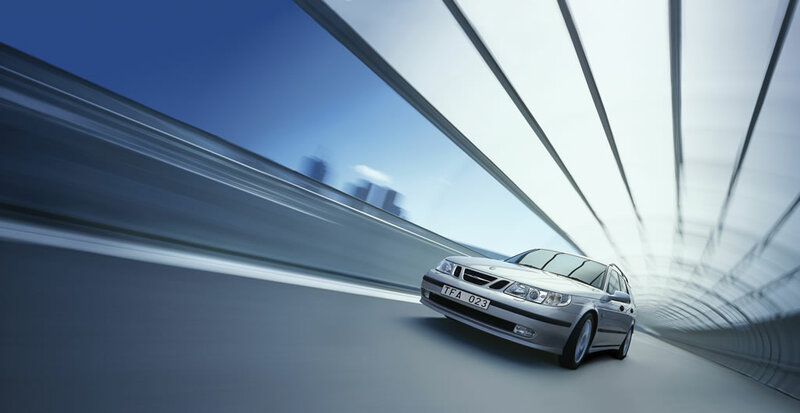 Saab’s top performance model, the 9-5 Aero, comes standard with a powerful range of performance, safety, comfort and convenience features, but also delivers a unique value-added program exclusively for owners. 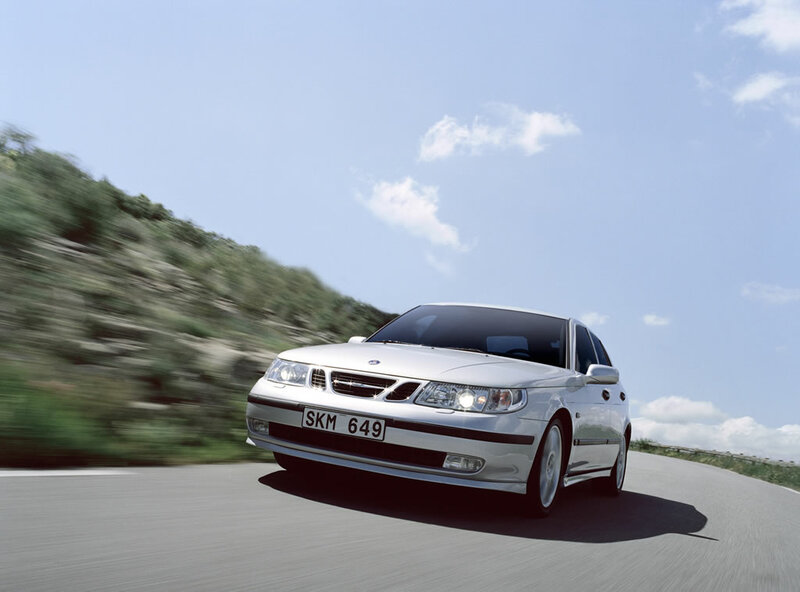 Customers who purchase or lease a new 2003 Saab 9-5 Aero will received a certificate for the Saab Aero Academy, a two-day intensive driver training session held at the world-class Road Atlanta complex, located near Saab Cars USA’s headquarters in Norcross, GA. 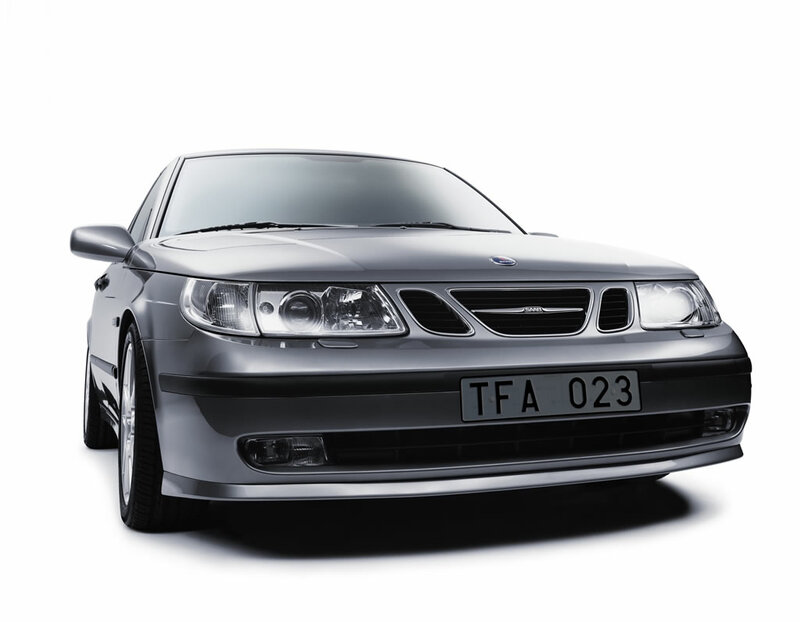 Patterned after the highly successful Viggen Flight Academy, the program is taught by a team of racing professionals. 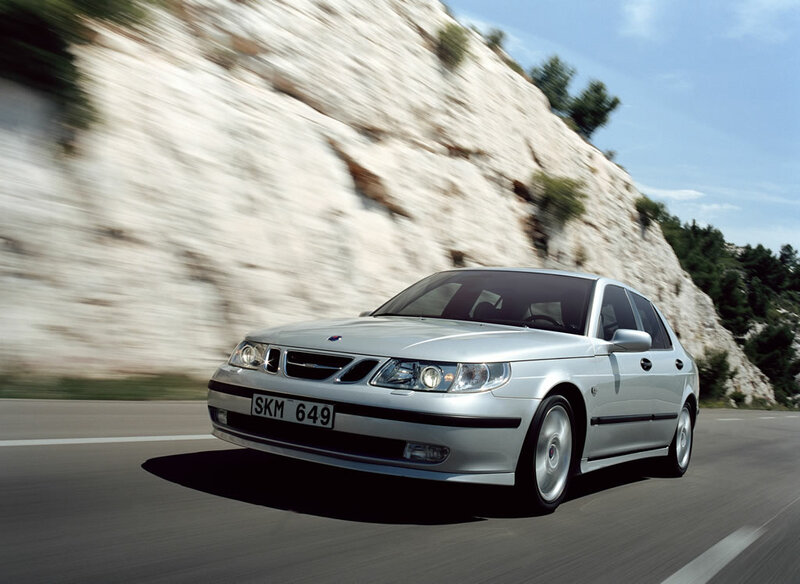 The Saab Aero Academy features hands-on, advanced handling exercises on a training track. 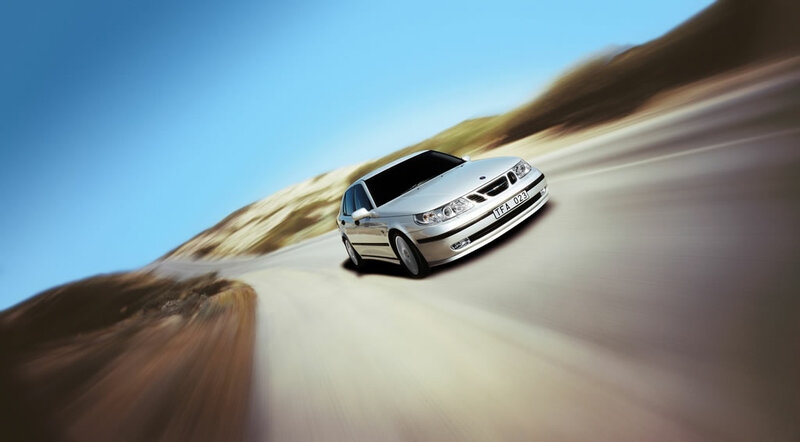 Cars are provided for the course, and owners will put the training cars through a variety of exercises, ranging from performance braking, shifting, and slalom maneuvers to safe, evasive techniques and skid control. Whether enthusiasts go for the thrill or to learn how to drive more safely in a variety of conditions, they’ll discover how well they and the 9-5 Aero can perform. The two-day program is compliments of Saab, although transportation and accommodations are the responsibility of the participant. Program starts in spring of 2003. 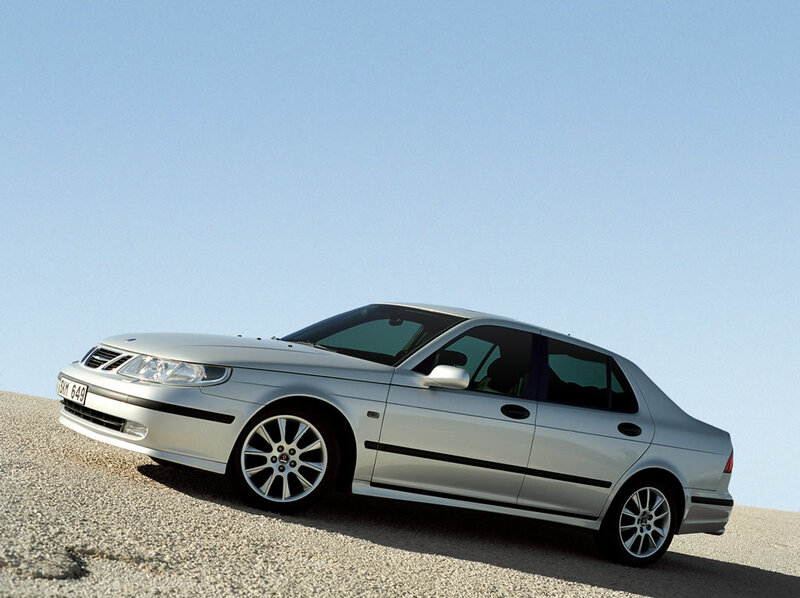 Suspension and steering engineered for quicker, sportier responses and more precise handling. 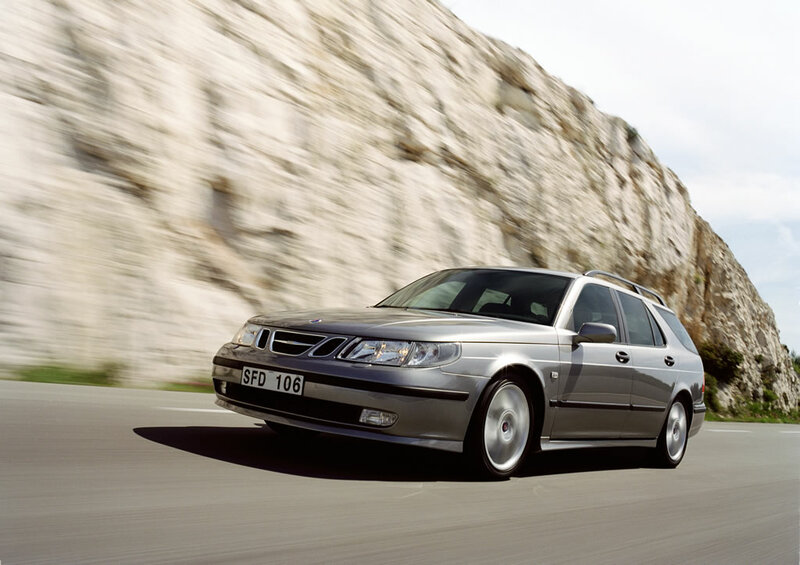 User-friendly, ESP developed by Saab. 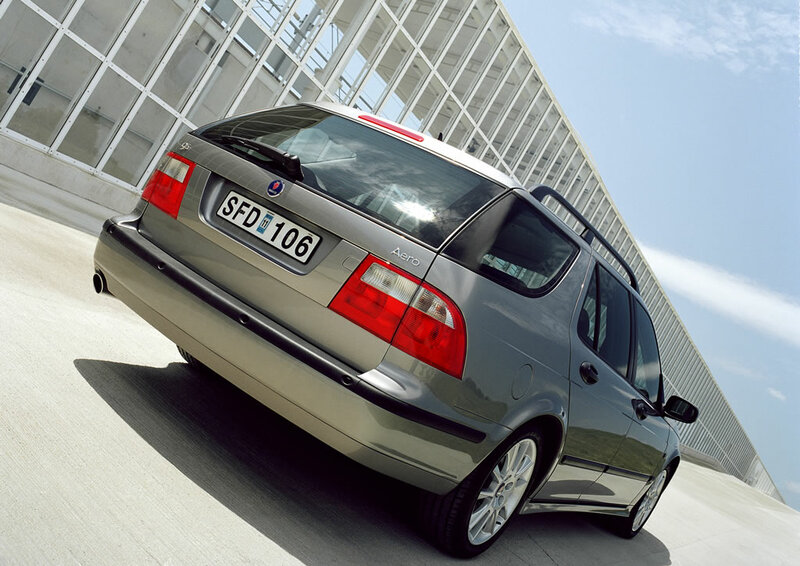 Adaptive front airbags and retuned seat-belt deployment plus optional bi-xenon headlamps for driving safety. Subtle exterior restyling to enhance sporty character of the range. 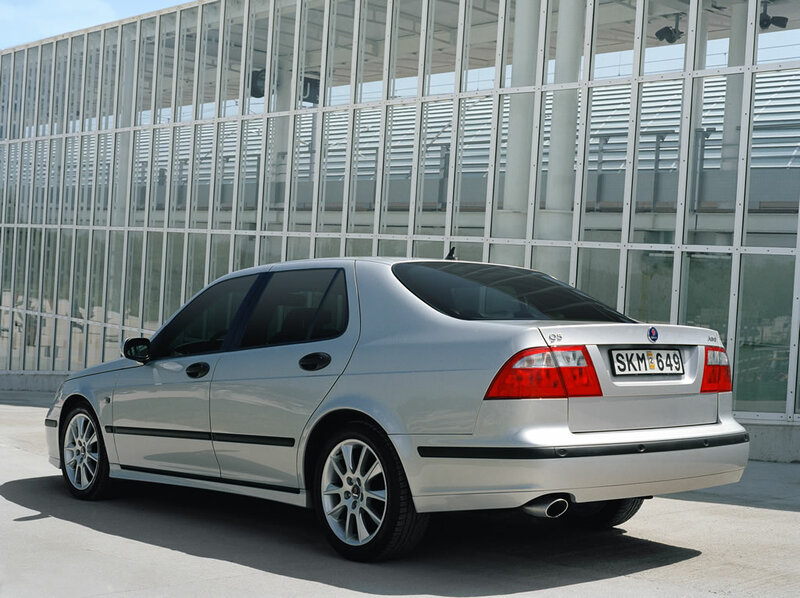 New specification structure: Linear, Arc and Aero forms increase customer choice. 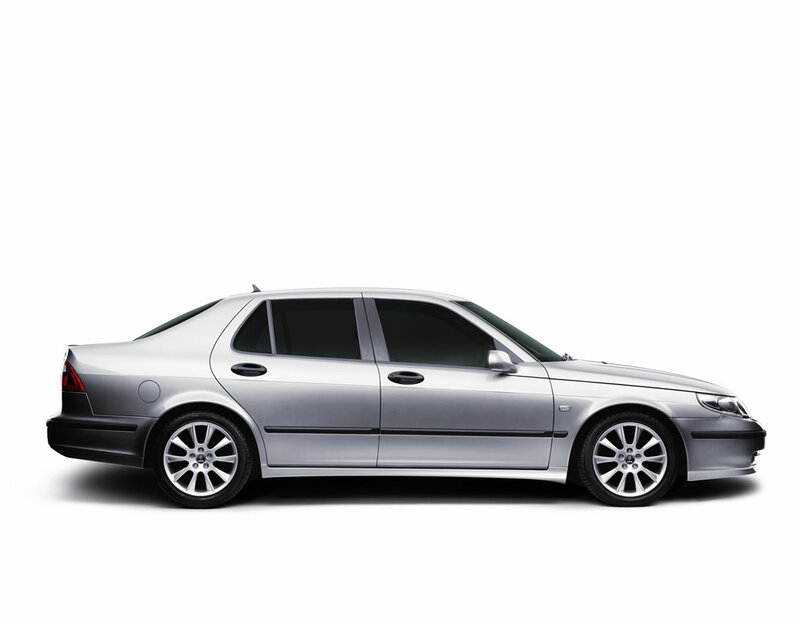 Each form is matched with unique interior trim, upholstery, wheel package and powertrain. 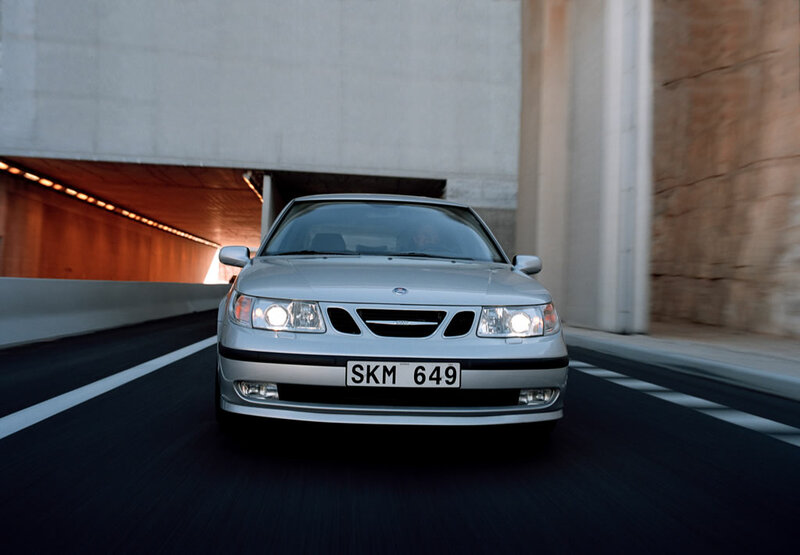 The simplicity of Swedish design is represented by Linear, which features the 2.3t engine, a 185-hp light-pressure turbo four-cylinder. 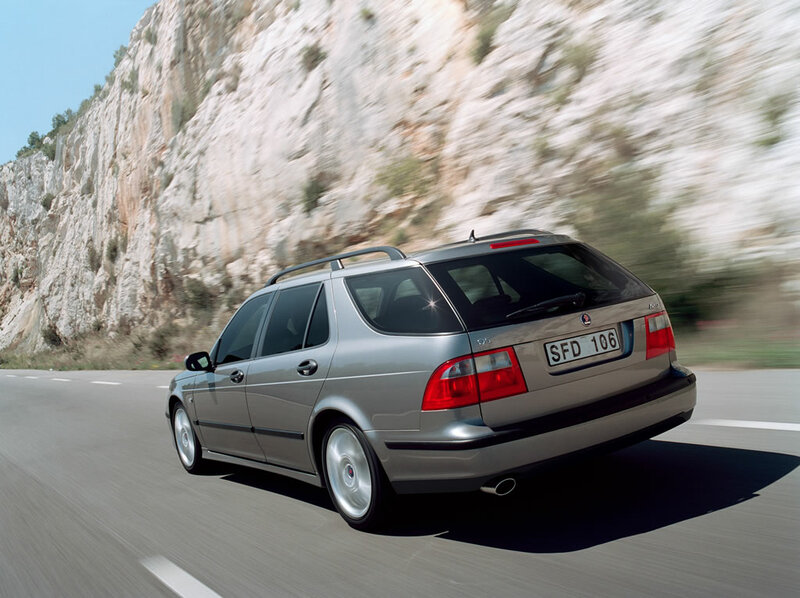 The next form is Arc, designed to emphasize a more luxurious, touring role, with ventilated leather seats, additional comfort features and the 200-hp 3.0t asymmetrically turbocharged V6 engine. Aero is the ultimate performance model, with bolstered sport seats, 17-inch wheels and the 250-hp 2.3T, High-Output Turbo (HOT) engine. 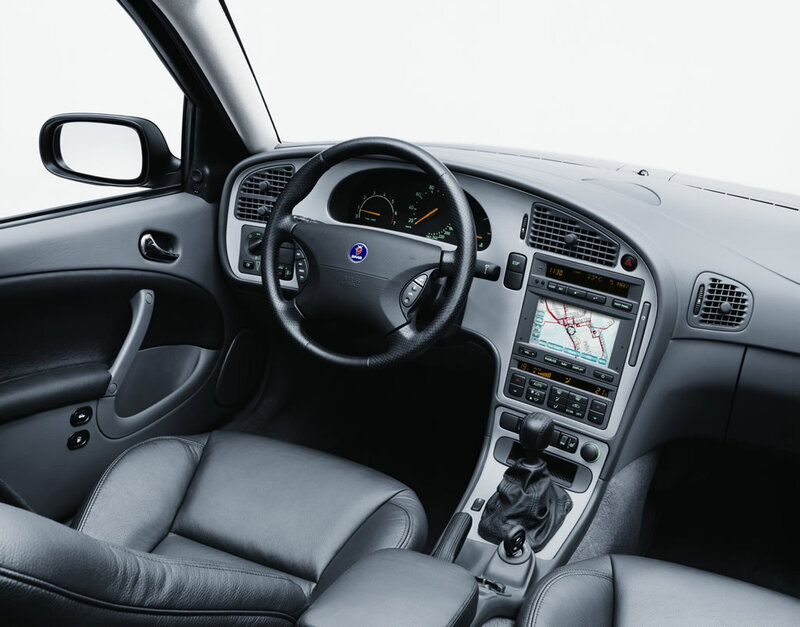 The impressive standard equipment list for all variants includes: dual-zone automatic climate control, power front heated seats, power glass sunroof, ABS, ESP, anti-whiplash Saab Active Head Restraints (SAHR), an alarm/immobilizer, alloy wheels and OnStar. 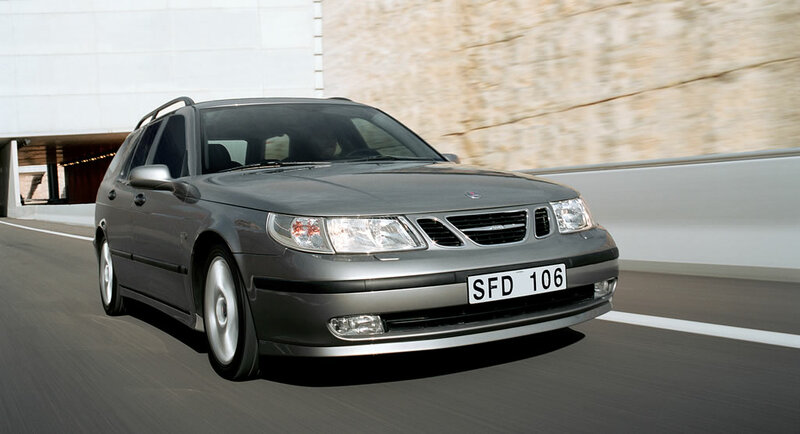 Saab continues its no-charge scheduled maintenance program which covers all models for three years or 36,000 miles, whichever comes first. Outstanding warranty coverage includes bumper-to-bumper protection with 24-hour roadside assistance for four years/50,000 miles.